The Guild was founded on April 28, 1990 when Paul Tuller and John McAlevey called a meeting at John’s shop in Warner, NH. Fourteen woodworkers were present at that meeting including Paul, John, Terry Moore, David Lamb, Roy Noyes, Steve Cunliffe, Jon Siegel, Jere Osgood, John Skewes and David Emerson. The group felt that although the League of NH Craftsmen was doing great things, it was time for a new organization dedicated solely to woodworkers. At that meeting a mission statment was drafted which even today has changed little, and established some of the goals of the Guild which later became the cornerstones of the organization: woodworkers helping to educate each other by working as a community, tying it together with periodic meetings and a Communication letter. The first meeting was with John Skewes showing us how he made Windsor chairs. The second meeting was Paul Tuller and the Japanese style. The third meeting was Jon Siegel doing woodturning. This was the first demonstration to be videotaped (by Peter Bloch) and was the start of the video library. Jon Siegel started the Communication letter, and in the third issue he named it The Old Saw. After about two years Jon turned it over to Roy Noyes who was editor from 1992 to 2002. The first president of the Guild was John Skewes, then Terry Moore, Jon Siegel, Wayne Marcoux, Ted Blachly, and Loran Smith. In this period, the Guild grew steadily to over 200 members, and clearly had great momentum. Roy Noyes, although never president, was very influential in this period by steering the goals of the organization. 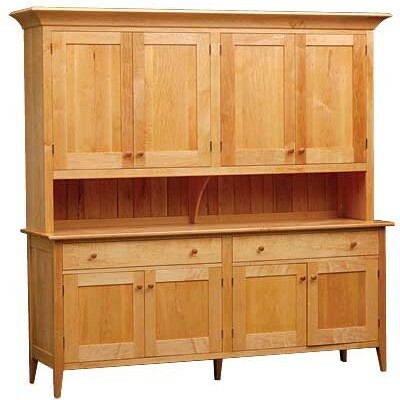 Also at that time the Granite State Woodturners was formed through the efforts of Peter Bloch. Other subgroups were formed such as BIG (beginners and intermediate group), and somewhat later, the Period Furniture Group. All of these groups are thriving today, especially the GSWT which, as a subgroup of the Guild and a chapter of the American Association of Woodturners, has almost 200 members. More recently, subgroups have formed for luthiers (guitar making), and hand tools. The meteoric rise of GSWT, increased membership in the Guild, and Jack Grube’s position at Pinkerton Academy made it possible for the Guild to stage a large woodturning symposium in 1997. These symposia are held every three years and draw about 300 people. 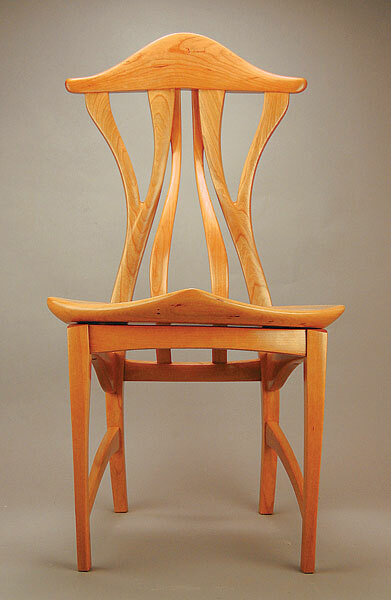 In between years, the Guild runs smyposia on other topics, such as woodcarving, finishing, Windsor chairs, etc. Then in 2000, Jack Grube became president and through his exceptional organizational skills took the Guild to a new level. This included formal versions of the Guild Bylaws, and establishment of the 501-C-3 tax status. Following Jack Grube, the presidents were Peter Breu, Roger Myers, Dave Anderson, David Frechette, Bob LaCivita, Bob Couch and Claude Dupuis. In the fall of 2004, Jim Seroskie took over editorship of The Old Saw. His work was revolutionary, and took the publication to new heights, transforming it into a 40 page full color magazine. This resulted in a surge of membership, and in just three years the Guild grew to over 500 members (currently 567 members—May, 2015).